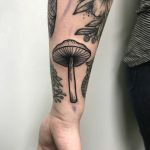 Ocean tattoos are perfect for the nature lovers and those who have a deep connection with the sea or the ocean. For example, sailors or the swimmers. Oceans cover 71% of Earth’s surface and carry 97% of all the water. So, even if we don’t see them every day, the oceans have a significant impact on our lives. Finally, they are mesmerizing and breathtaking wonders of our world. So we invite you to take a look at our collection of ocean tattoos. What do ocean tattoos mean? Tattoos with sea motifs are a classic choice. Since the beginning of the 20th century, it was one of the most popular tattoo styles. Today, a lot of people around the world choose to get an ocean tattoo for many reasons. 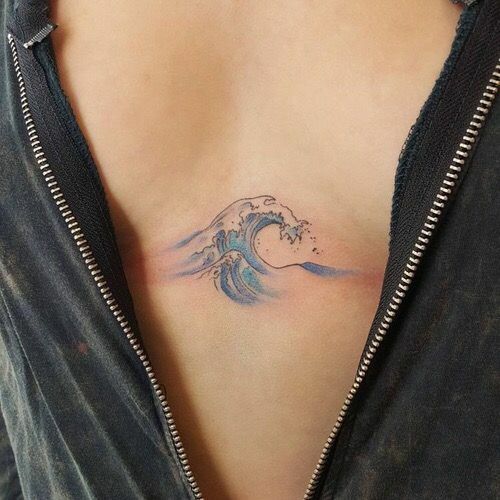 The most popular and the most common meaning of the ocean tattoo is the person’s connection with the water. Usually, the ocean tattoos are popular among the sailors and those who spend a lot of time in the water. So, generally, an ocean tattoo expresses ones deep connection with the sea. Many ancient cultures were praising sea gods. For example, the Greeks had their sea god Poseidon. Ocean tattoos can also represent the Pisces or Aquarius Zodiac signs. And there are thousands of fish and other deep sea creatures that you can also use with an ocean tattoo. We still know a little about the oceans and what is at the bottom. It is undoubtedly one of the most beautiful creations of our world. However, humans are causing a lot of damage by contaminating the waters every day. So, here’s another reason to get an ocean tattoo. It would be a way to express your position about our seas and a reminder to consume less. Like there are many meanings, there are also many types of ocean tattoos. Waves, the image of the sea or the shore with a lighthouse. Also boats and everything related to the sailor theme like anchors and ship wheels. Sea creatures like fish, octopus, jellyfish and many others are another option for an ocean tattoo. There’s a lot of tales and books about the sea and the ocean. So you can use one of them as your inspiration.